When it comes to experience with Digital imaging, look no further than the outstanding suite of reliable products from Italian manufacturer Trident. With over 30 years in the industry, you can rely on Trident to deliver incredible images, reliable diagnosis and excellent clinical results. 3D Pan incorporates advanced CBCT technology for the acquisition of volumetric images. 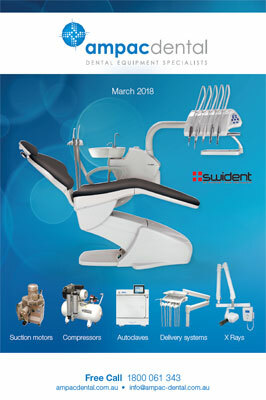 This unit can be used in various applications in the fields of Implantology, Periodontology, Endodontics, TMJ and General and Maxilofacial Surgery. The X-View 3D PAN has been meticulously designed to achieve accurate patient positioning, thus reducing the need for further examinations and unnecessary radiation. With the dedicated DEEPView software developed exclusively by Trident, high quality images are reconstructed in less than 10 seconds. Diagnosis, treatment planning and patient education is quick and easy. High definition images are delivered as a result of the remarkable acquisition speed of the sensor to create multi layer images. An image bank is created from which the software selects the clearest and sharpest shots to build up 3 panoramic images with an interval of 2mm in focus between them. With the Interactive touch screen panel, selecting scan options and pre-programmed settings is simple and easy.